Calling all High School and College students! 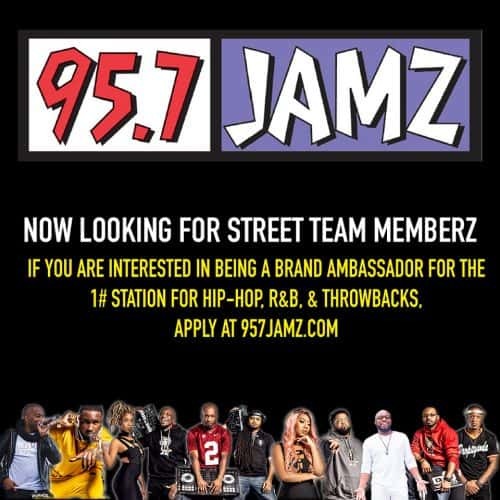 Join the biggest and livest street team for the #1 station for Hip Hop, R&B, and Throwbikes, 95.7 JAMZ! Interested in radio? Want to know what we do behind the scenes? Do you have a desire to learn promotion and event production? Well, here's your chance to join the best team in the city! Good luck!